Thunder was beginning to roll across the water. The storm would soon arrive. Victoria Khoo is seventeen, and very sure of her destiny. She will marry Sebastian Boustead and become the mistress of the family mansion, next to her own family’s home in Amber Road. When she learns that Sebastian has arrived back from England with a fiancée in two, she is sure there is some kind of mistake. They are meant to be together. But within days, Victoria has more weighty issues to deal with, as the war reaches Asia and Singapore surrenders to the Japanese. Soon Victoria’s family is separated – her parents and sisters fleeing to the family rubber plantation, and Victoria living with her stepmother (her father’s number two wife), grandmother and half siblings in Singapore. Under Japanese occupation, Singapore is no longer the idyllic British colony of Victoria’s childhood. She must do what she can to survive the war and protect her family. Yet she will not abandon her dream of one day fulfilling her destiny as Sebastian’s wife, even though she is now responsible for ensuring his fiancée’s safety, and she herself has a new friendship with a charismatic Australian. Amber Road is an absorbing tale of one woman’s experience of wartime Singapore. Victoria is, at the start of the story, a self absorbed teen and it is intriguing to watch her growth amidst terrible hardship. At the same time the reader is aware that much of the determination she shows is something she already possessed, and her self absorption is one of the tools which helps her survive. With romance, suspense, history and more, Amber Road is a well told tale which leaves the reader wanting to follow the characters into their future to see what unfolds next. ‘It’s an omen,’ Marina said earnestly, and blushed when Sarah made a disgusted ‘tch tch’ sound. ‘My mumma believed in omens,’ she added apologetically. ‘She would have said this golden tunnel is leading us to a bright future. 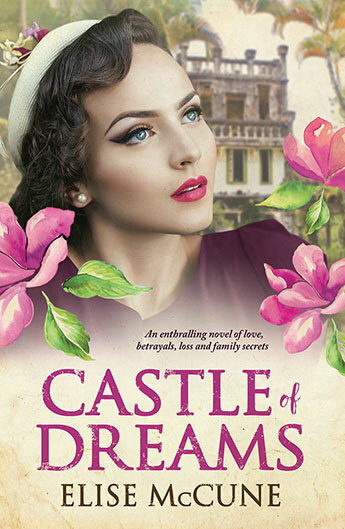 When Marina arrives at Waratah House, a mansion in southern New South Wales, she hopes it will be the start of a new, better life. It is the first real home she’s ever lived in, having travelled with her parents for most of her young ife. Now, though, she is an orphan, with her parents dying on the trip to Australia, and the man who adopted her also dead. Here at Waratah House she finds a new family amongst the fellow servants. Everyone loves Marina – except her guardian, Sarah, who blames Marina for anything bad that befalls her. Years later, Marina’s daughter, Emily, finds that she, too, is the victim of Sarah’s wrath. Sarah will stop at nothing to ensure Emily can’t find happiness. Will history repeat itself, or will Emily find a way to follow her dreams? Set in colonial NSW, Waratah House is an absorbing historical novel exploring the lives of the servants at a country mansion, a fact which is bound to draw comparisons with Downton Abbey, though in this offering the lives of the family ‘upstairs’ is largely incidental to that of the servants, who are very much the focus. There is a lot going on here, and possibly enough material for two separate books – one focussing on Marina, and the other on her daughter. This would also allow more exploration of other characters – whose lives are interesting, but sometimes touched on only long enough to arouse interest. That quibble aside, Waratah House is on the whole a satisfying read. This book is available online from Fishpond. It had been like being sucked back to that other time. Like the missing years, like every year between their saying goodbye at the Sydney station had been wiped out. He’d been twenty=two again, and whole for a time – until she’d come to Ringwood. In the light of day, those years had come rushing back – and they hadn’t stood still. He wasn’t twenty-two. She wasn’t eighteen. You can’t wind back time to where you lost it. And she hadn’t come out there looking for him, but for Jimmy. It’s 1958 and times are changing in Woody Creek. Jenny’s children have grown up. Georgie and Margot are living in Granny’s house. Georgie is running the local store, but Margot doesn’t do much at all, though she has a secret, and odd, relationship with Teddy, from next door. Her other children Jenny knows little about. She hasn’t seen Jimmy, her only son, since she was tricked into giving him up, believing her sweetheart Jim to have been killed in the war. And her youngest daughter Cara, she gave up at birth – and has never told anyone about. Now though, that daughter, Cara, is growing up, and starting to suspect she’s adopted. When she tries to find out about her birth family, she and Georgie connect, but neither can even begin to imagine the consequences of the secrets their families have buried. Wind in the Wires is the fourth title in the Woody Creek series and will best appeal to those who have read the previous titles. I was new to the series, and was aided by the front of book summary of the characters and action so far, but still took a while to get into the story. I was, however, glad I persisted, being drawn into the lives of this strange, intriguing family. The characters are diverse and compelling. Some, like Georgie, Cara and Jenny are likable for their determination and persistence. Others, like Margot, are hard to like, but are nonetheless intriguing. It is easy to be drawn into this family’s life and want to know more, though it is then hard to witness the hard twists of fate. The portrayal of life in the Australia of the 1950s and 1960s is also fascinating. With plenty of room left for at least one more sequel, readers will be left wanting more. If you are a fan of the historical saga , then you are surely familiar with the name Anna Jacobs. Jacobs is undoubtedly queen of this genre in Australia, with her stories about her native Lancashire and Australia, her adopted home. Fans of Ms Jacobs will not be disappointed with Lanacshire Legacy, new out in paperback. The heroine, eighteen year old Cathie, loves her family, but wants desperately to escape the bush home that she shares with them. Life in the bush is hard, and Cathie longs to return to England, to make contact with relatives in Lancashire and to have an adventure. When Cathie’s Uncle agrees to pay her fare, Cathie travels to England, where she finds that the adventure she has is far removed from the adventures she had hoped for. Attacked on the docks after her arrival, Cathie loses her memory. Rescued by a man with problems of his own, she struggles to remember her past and to find the answers she is seeking about her father and brother. As she does so, she becomes a part of the family of her rescuer, the handsome Magnus Hamilton, towards whom she feels an increasing attraction. As she learns about her past, Cathie discovers that she is moving in a society where rich established families have the power to destroy her own chances at happiness, and that of those around her, including Magnus, her young brother Francis, and three half-brothers she didn’t know she had. As we follow the journey of Cathie’s self discovery we also revisit the life of her mother, Liza, who was introduced in Jacobs’ earlier title, Lancashire Lass. Whilst the novel continues the story of Liza and her family, the first title is not prerequisite reading for a full enjoyment of the second. Be warned though, that having read Lanacshire Legacyyou will want to learn more of this family and will, like this reviewer, be looking out for more stories in the future. Lancashire Legacy, by Anna Jacobs.